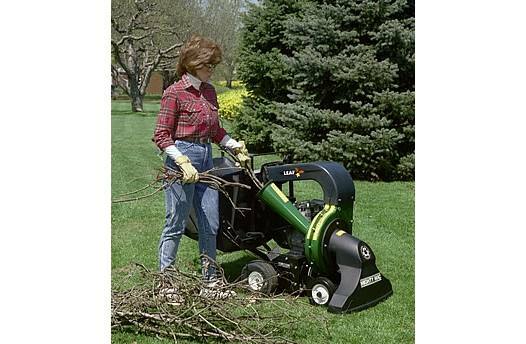 The Vacuum-Chipper-Bagger by MacKissic is the best there is when compared feature to feature with other brands. 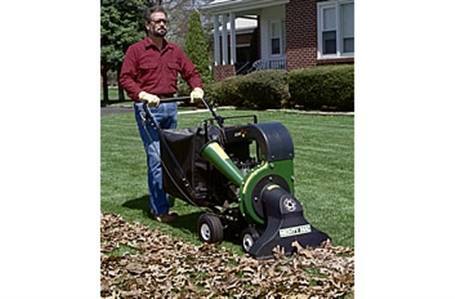 The VCB eliminates raking, piling, hauling, and bagging leaves. 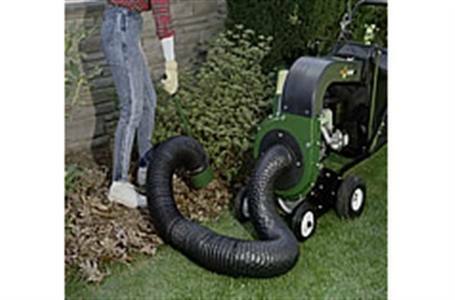 Just run the vacuum over the lawn and the leaves will be picked up in 25" swath, shredded, and bagged for you. The leaves and debris are reduced by up to 8 to 1. With the large 4 bushel bag you will be able to remove up to the equivalent of 24 bushel bags before the easily emptied bag needs to be dumped! The bag features dual zippers opening three sides for easy dumping without taking the bag off the machine. The VCB is self-propelled for effortless vacuuming. There are 3 forward gears with speeds of .69 mph, 1.06 mph, and 2.39 mph and 1 reverse gear with a speed of .79 mph. Rear axle differential allows the user to easily turn the machine. The VCB has a top loading bag allowing for maximum debris collection with the fewest stops for dumping. The housing is made with 13-gauge steel that will last through the rugged use of the machine. Also, there is a snout height adjustment to help match the terrain and ground condition. For those hard to reach areas there is an optional vacuum hose kit.